Most have to stop and think through their commute to arrive at an answer. It’s not an experience that stands out; it’s routine and practiced for most drivers. “You cross more lanes of traffic making a left turn. 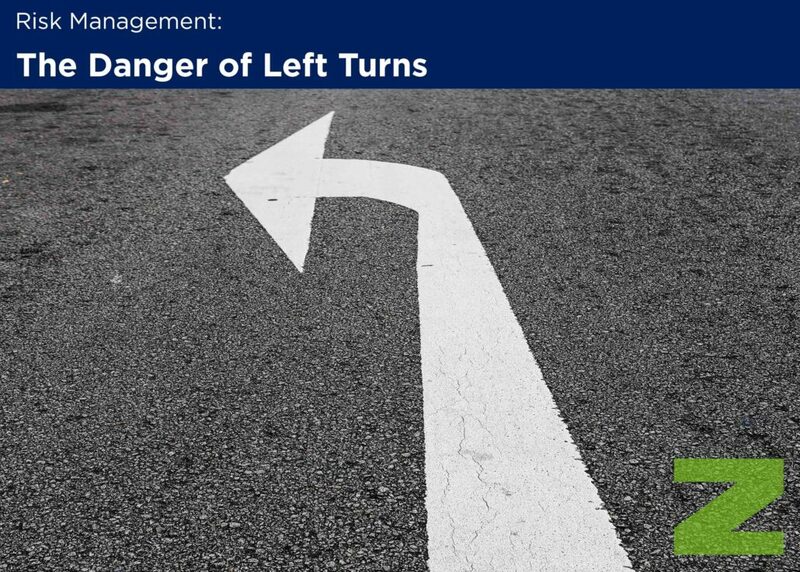 There are more variables at play, which means more decisions to make for the driver,” said Peter Kim, Assistant Vice President, Risk Management Services, Philadelphia Insurance Companies. “UPS, for example, cut left turns out of drivers’ routes, which allowed them to not only reduce crashes, but also improve efficiency by spending less time idling at intersections. That also meant they could save money on fuel and reduce their carbon footprint,” Kim said. The Dilemma of Distracted Driving While the logistics of turning left make it a more dangerous maneuver, the risk is compounded by the larger issue of distracted driving. In 85 percent of crashes involving a left turn, errors in driver recognition and decision-making were to blame. Those errors can be attributed to three underlying factors: obstructed view, inadequate surveillance, or incorrect assumption of others’ actions. “What that means is that the driver either could not see the whole intersection, did not check the intersection for oncoming traffic, or did not react appropriately to what they saw,” said Kim. Not reacting to another driver in time could simply be due to a momentary lapse in judgment, but the rise of distracted driving may also be slowing reaction times or impeding decision-making behind the wheel. Tech-enabled dashboards and cell phones consistently compete for drivers’ attention, and many believe they can safely keep an eye on the screen and on the road at the same time. Of respondents to a National Safety Council survey, 13 percent said they were comfortable driving under the influence, while 47 percent said they were comfortable texting and driving. But studies show that reaction time is actually slower when driving while using a cell phone than driving with a blood alcohol level of 0.8 percent. “Texting and driving can be just as dangerous as drunk driving, and the disparity in how drivers’ perceive that danger needs to be addressed,” Kim said. Managing Fleet Safety Companies can address the risk of distracted driving in several ways. First and foremost, a cell phone policy can keep drivers’ attention on the road and both hands on the wheel – but only if it’s enforced. “Having a policy that is not enforced is almost as dangerous as having no policy at all,” Kim said. A cell phone policy can dictate that drivers not use their phones at all while they drive, or it can allow for hands-free use. But safety managers can’t be in the passenger seat of every car. If they can’t see drivers’ behavior, how can they enforce a cell phone policy? SafetyFirst then verifies and validates the report and sends a “Motorist Observation Report” (MOR) back to the employer, who can bring the issue to the driver’s attention and take corrective action. The company in turn sends a confirmation back to SafetyFirst, stating that it followed up on the MOR. “When the confirmation rate exceeds 80 percent, we see a reduction in losses,” Kim said. “Through this large experiment, we have implemented GPS units in select insureds’ vehicle fleets. This is just a small sample that we’re using to gather data to inform how we may move forward in this area,” Kim said.